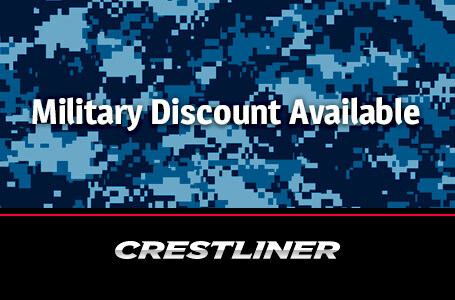 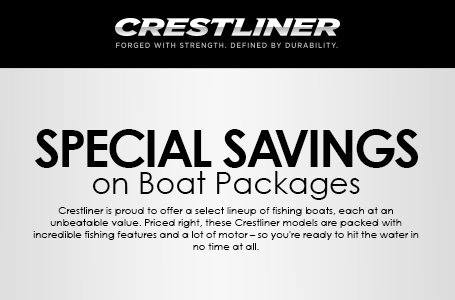 Take the Crestliner 1850 Fish Hawk on the water and you'll quickly realize: This is no ordinary fishing boat. 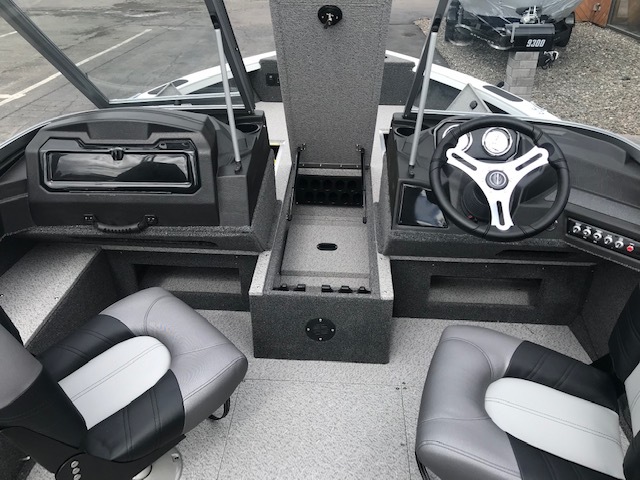 From the redesigned gunnel, to the comfortable new jump seat options, to the sleek new console with room to fit 12" electronics and multiple drinks, everything in our best-selling series has been reimagined. 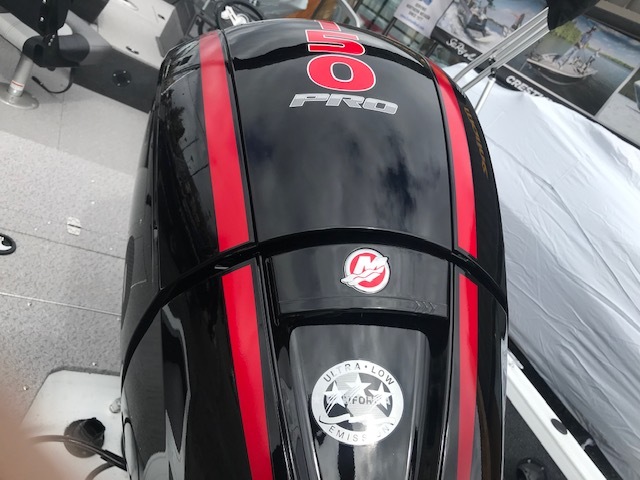 Even the paint. 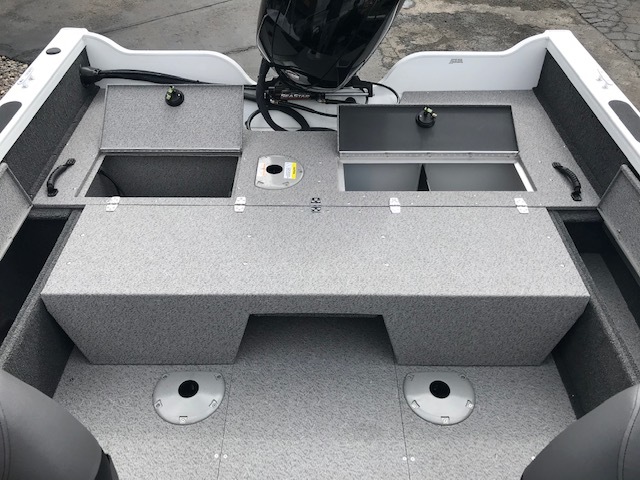 This all-welded aluminum deep-V hull boat is designed with the angler in mind to give you everything you could want for your day on the water, including the peace of mind that comes from the durability of Crestliner's all-welded aluminum hull. 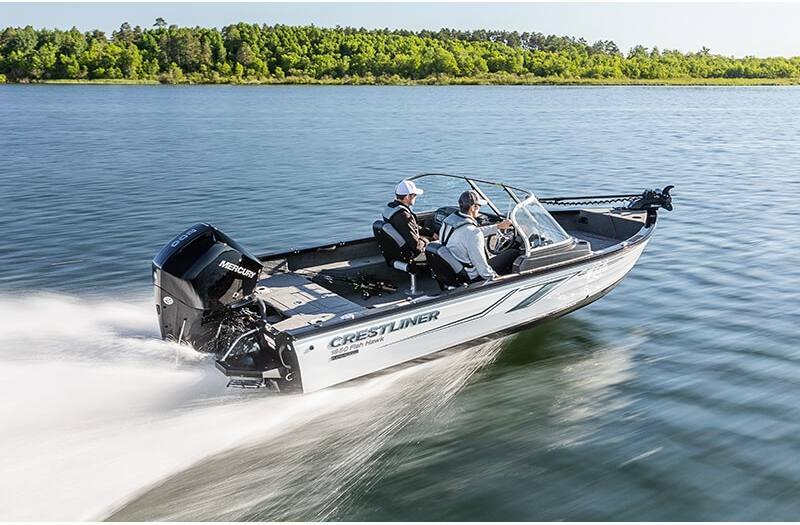 With a 200 HP max capacity racing you across the water you'll find a perfect fishing spot in no time. 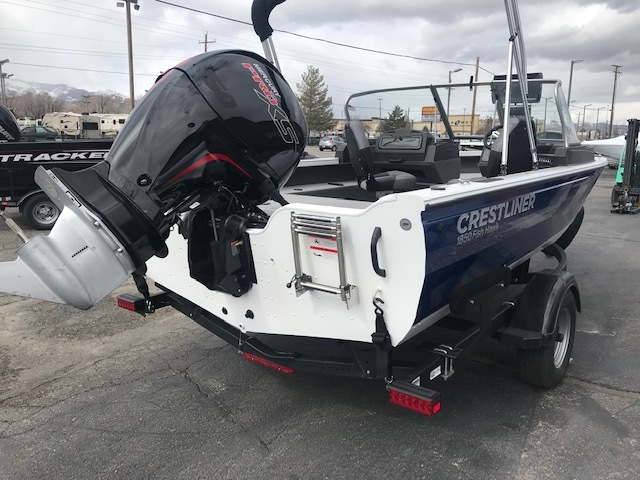 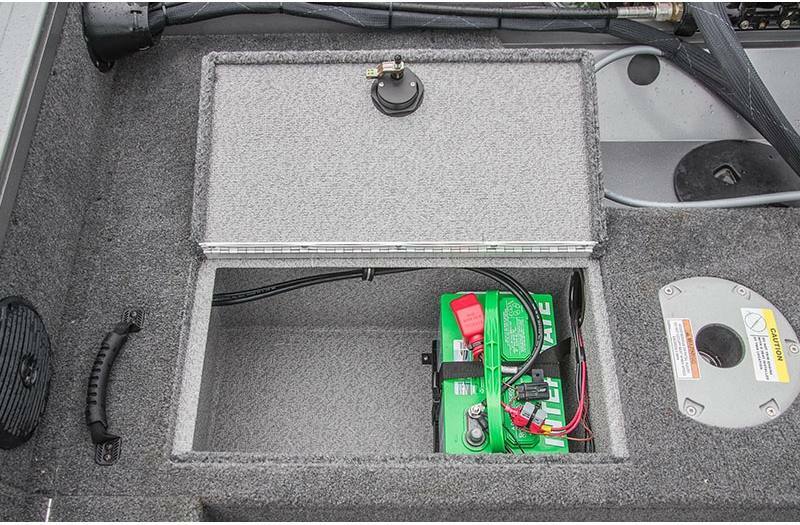 This 18-foot fishing boat can seat up to 6 people and features lockable center rod storage that can hold up to five 7'6" rods and five 7' rods as well as an optional trolling motor battery and charger. 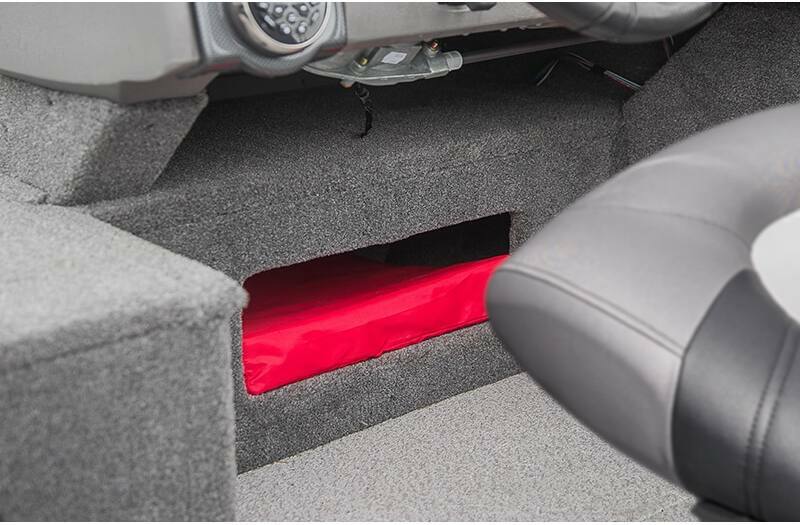 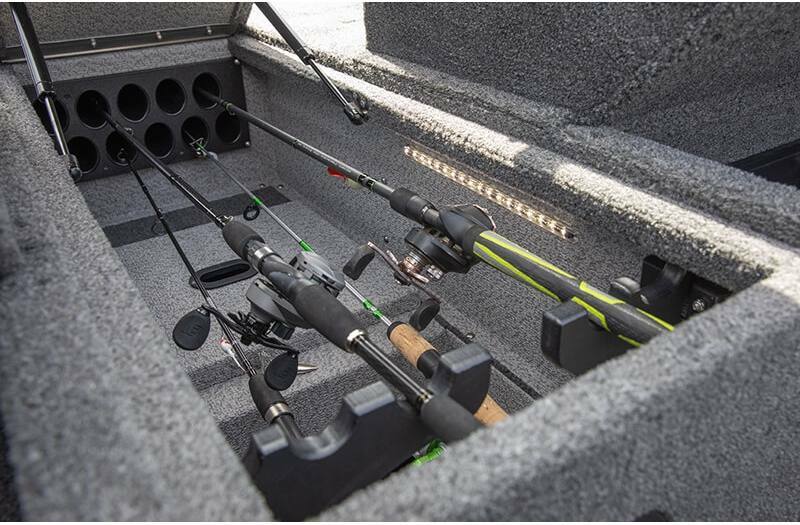 With a 15-gallon aerated stern livewell and a 12-gallon aerated bow livewell, you'll have all the storage necessary for your rods and whatever you catch. 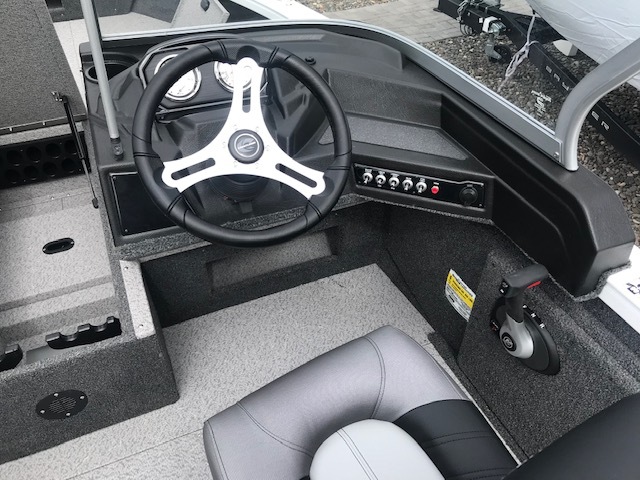 You can choose from a side console, dual console or walk-through configuration as well as new, limited edition paint options, so when you buy the 1850 Fish Hawk, you're getting exactly the boat you want. 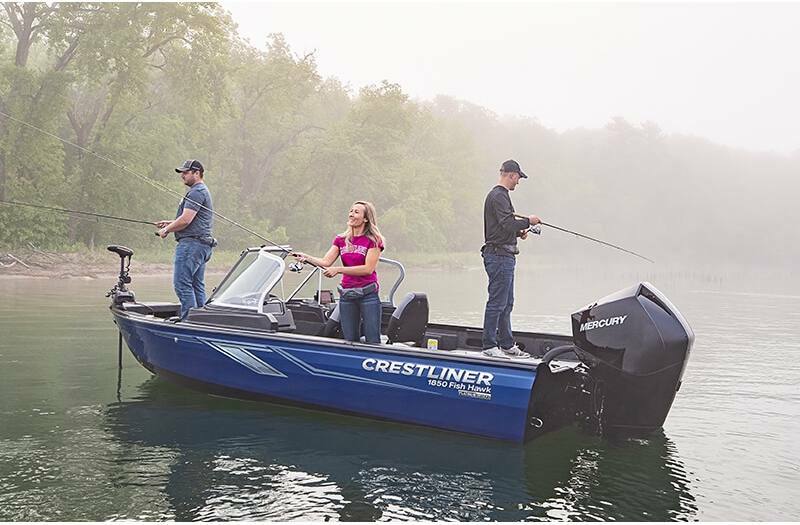 Everyone on the water will take notice, including the fish. 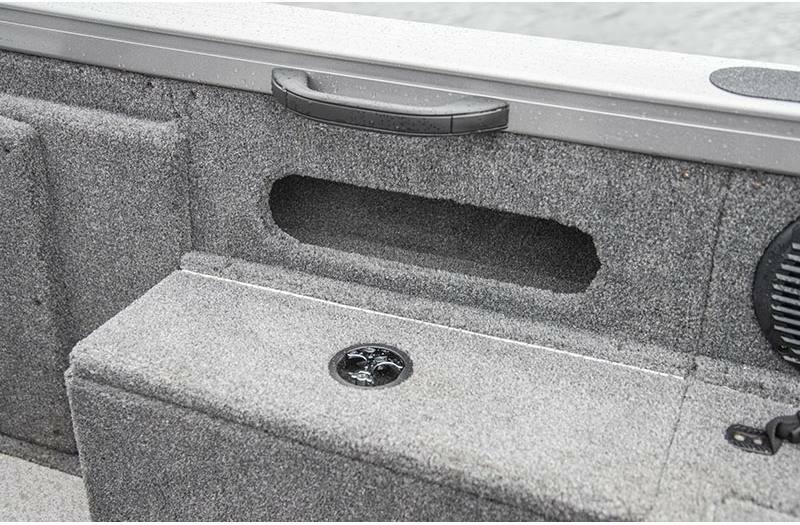 Bow Livewell: The bow features an easily accessible 12 gallon aerated livewell with timer. 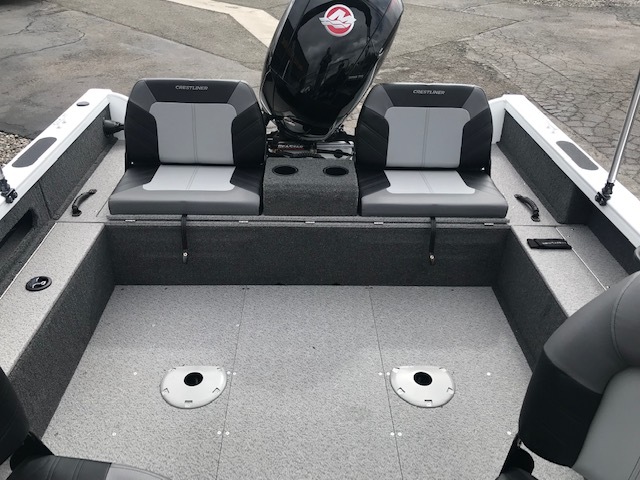 Stern Livewell: The deep stern aerated 15-gallon livewell keeps your prizes in prime condition. 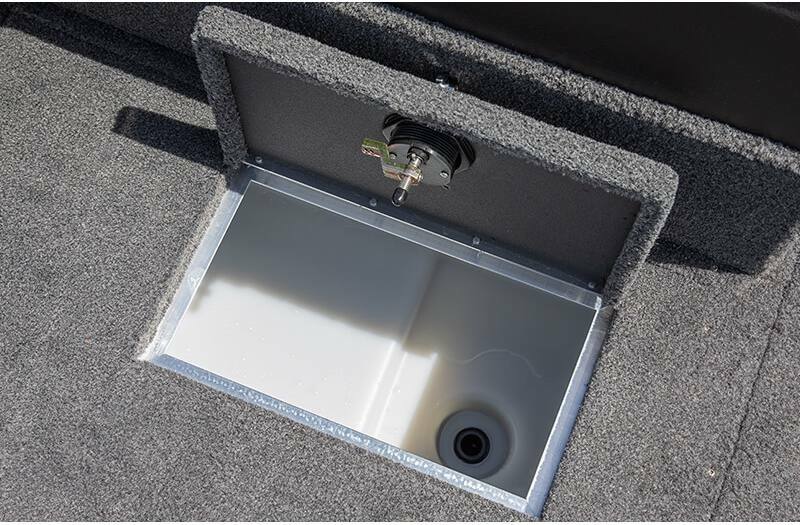 Bow Baitwell: Keep your bait within reach with a convenient baitwell located in the bow. 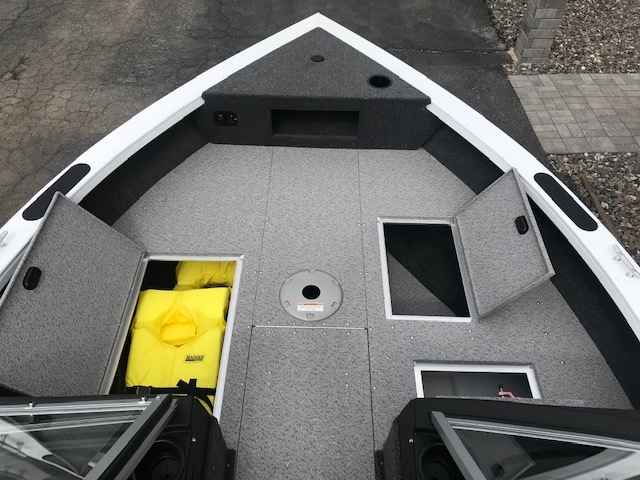 57" Muskie Livewell: The 57" muskie livewell option will keep your trophy catches fresh and revived. 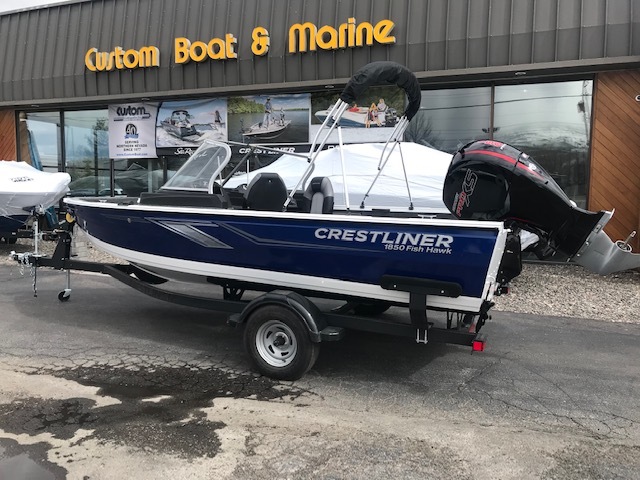 Weight (Boat only, dry): 1,720 lb. 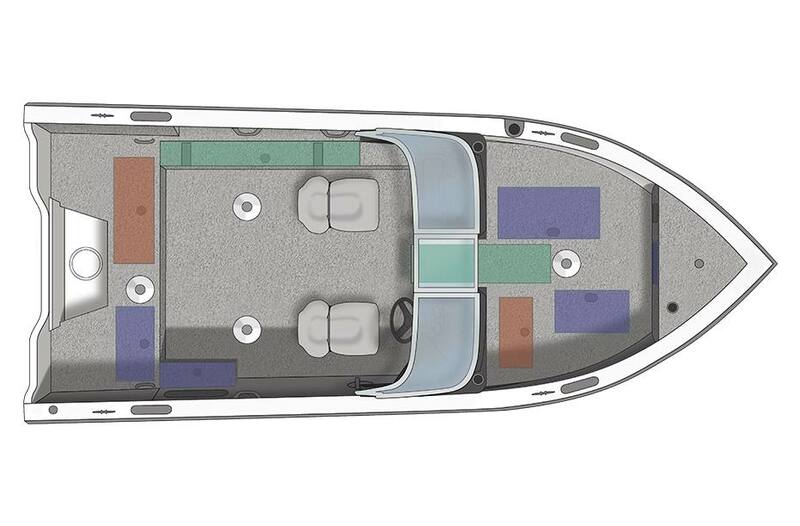 Max Weight Capacity: 1,810 lb.